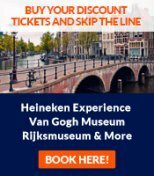 This page covers everything related to Amsterdam movies, the city's best cinemas, and Amsterdam-based film festivals - in short, all the information a movie lover could be looking for. 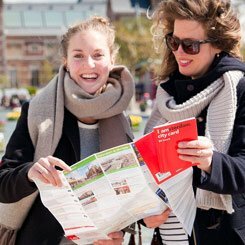 In Amsterdam movies are mostly shown in their original language with Dutch subtitles - good news for all of us English speakers who want to see a picture in the city. The exceptions to this are children's movies, which usually have two different screenings, one with the original language and one dubbed into Dutch. So be sure to ask for a ticket to the original language version if you don't want to spend the evening trying to understand Buzz Lightyear's Dutch. The major cinemas tend to have the same Hollywood dominated blockbuster listings as movie theatres in the rest of Europe and the western world. 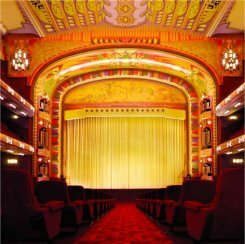 There are a number of art house cinemas in the city that show more specialist films, including some original Amsterdam movies. If you're looking to see a mainstream movie in Amsterdam, a trip to one of the Pathe cinemas is the way to go. In the city centre, Pathe de Munt can be found close to the Rembrandtplein at Vijzelstraat 15, while outside of the city the large Pathe Arena at Arena Boulevard 600 is close to the famous Amsterdam ArenA. 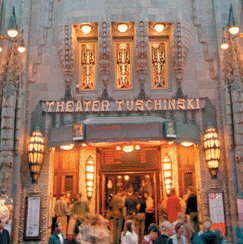 Worth special mention is Pathe Tuschinski, found close to Pathe de Munt at Reguliersbreestraat 26. This beautiful art deco building has been a cinema in Amsterdam since 1921 and is the place to go for an authentic Amsterdam movies experience, yet still with the popcorn and blockbusters we have come to expect. The Movies, at Haarlemmerdijk 161-163, is a short walk from the city centre along the popular Haarlemmerstraat and can be well worth the trip. An authentic art house cinema, The Movies is also the oldest in Amsterdam, having been opened in 1912. The approach here is slightly different, and you can sit down for a meal in the characterful restaurant / café before buying your ticket and taking your beer into one of the small screens to enjoy the show. The theatre focuses on independent, smaller release or critically acclaimed international movies but is also known to show animated children's movies when they come out. Some other movie theatres worth a look are the student-focused Kriterion at Roetersstraat 170 (which also has a large café), the tiny De Uitkijk in the center at Prinsengracht 452 and the Filmmuseum, currently in Vondelpark but set to move to a new location in 2011. There are a few film festivals in Amsterdam that can make a movie lover's trip to the city even more enjoyable. Most festivals focus on international rather than home grown Amsterdam movies, but there is always a gem or two to be found. The International Documentary Film Festival runs from 18th to 28th November and showcases interesting and stylish documentaries from around the world in Kriterion and other locations in the city. The Shadow Festival takes a different approach and shows documentaries in either the Doelenzaal at Kloveniersburgwal 87, or the film makers' own homes. Pink Film Days (Roze Filmdagen) takes place in the city from 5th to 14th March and is Amsterdam's most popular gay and lesbian film festival. Movies are shown in the Amsterdam public library as well as Cinema Ketelhuis in the Westergas area found, not surprisingly, to the west of the city centre. The Amsterdam Vondelpark hosts the Dutch Filmmuseum, which has a collection of 46,000 movies, 500,000 pictures and over 41,000 movie posters, among others. However, most Amsterdammers visit the Filmmuseum because of its good movie theather with a nice cafe and a superb terrace overlooking the Vondelpark (Amsterdam's biggest park, located in the heart of the city. The movie theater shows interesting cult films taken from the museum's archives. For some authentic Amsterdam movies, have a look at the 1996 movie Zusje directed by Robert Jan Westdijk or the fairly adult-themed Turks Fruit (Turkish Delight outside of the Netherlands), which was one of the most successful Dutch movies of its time, picking up an Oscar nomination in 1973. The 2002 movie Snapshots, stars Burt Reynolds as an ageing hippy who finds love in Amsterdam and was filmed mostly in the city with scenes set in and around the Red Light District. There are many other Hollywood / Amsterdam movies, usually featuring a particular stereotype of the city, as in Eurotrip or Ceech and Chong's Still Smokin'. For a more serious movie about Amsterdam, Anne Frank: The Whole Story was released in 2001 and stars Ben Kingsley. The name gives it away, and the film tells the famous story of Anne Frank, who hid from Nazi oppression in the 'Secret Annex' of Prinsengracht 263 (which is now the Anne Frank House, Amsterdam's third most visited museum). While not about the city as such, this is a good movie to see about one of Amsterdam's most famous historical figures. What does Amsterdam nightlife have to offer?